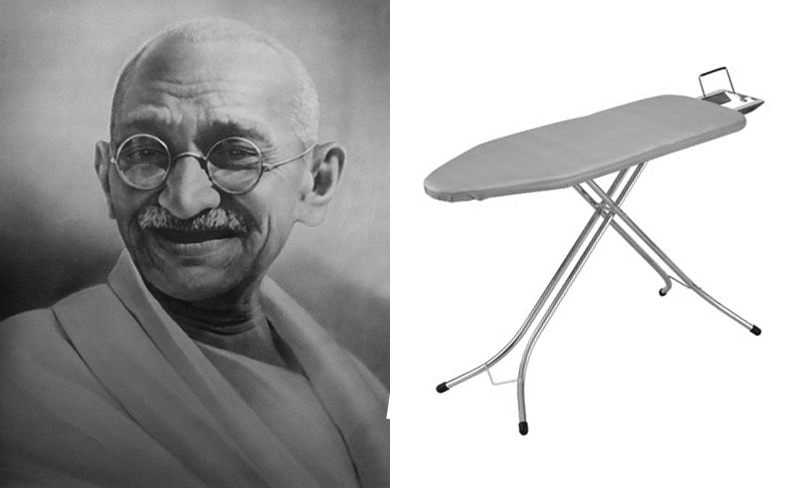 What does Gandhi and an ironing board have in common? They were both in my assignment for an “eCommerce Essential” class. I had to ask a question online about a product and assess the quality of retailer’s response offline and online. Therefore, I wrote a Customer Review Experience; Gandhi’s words were in the introduction and the ironing board was the product. I didn’t know Gandhi said that, I guess you neither. This is the good point of reading the blog. Businesses have to deal with customers’ enquiries all the time; online and offline channels burst with phone calls, emails and questions looking for immediate solutions. Each customer expects to be first in line for assistance. In contrast, companies must endeavor to meet customers’ unique requests and provide satisfaction by giving helpful advice and maintaining a steady professional service. Unfortunately, the Internet is an impersonal place for shopping. There are instances where many online shoppers don’t restrain their displeasure. Following a past experience with John Lewis, this review aims assess the quality of the retailer response to a customer enquiry in terms of system’s coherence and performance. There is no way for customers to publicly air their views on the Retailer’s website. However, online reviews are a major influence on people’s decisions, they increase confidence in the product or service offered and lead to more sales. Despite this, John Lewis still has a great brand reputation, nevertheless it is important to implement these valuable conversations as an opportunity for the company to get constructive criticism and affect customers’ buying habits by permitting recommendations. 44% of women use social media for brand/product recommendations; 73% trust online community recommendations. The above statistics need to be considered, especially knowing that a large percentage of the retailers’ customer base are female. Sometimes customers require a specific product or service, which the retailer may not have in stock. This example illustrates how the business responded to this problem. After a customer asked for a particular product that appeared as “Out of stock” on John Lewis website, the company responded in good time, the following day. It’s worth noting that before sending the email on the website, it is mandatory to choose a store, which indicates that there is going to be someone responsible for resolving the client’s issues. This system allows the retailer to know which shops are performing better in dealing with requests and allows them to create reports that maintain a permanent record. Also, before choosing email as the method of communication, the site insists upon offering telephone assistance. Having 5 numbers directed to different divisions, means that multiple support staff is available and that waiting times are reduced. The communication system works effectively – the next day user receives an email responding to the concern, which is cordial and to the point. The language used puts the brand in the customer’s shoes, nevertheless the message is not likely to lead to customer satisfaction as it doesn’t provide any solutions such as alternative options, up-selling propositions or intent to better understand the issue in order to solve it. Surveys have found that a large number of people identified telephone conversations with live agents as that the most satisfying channel of customer service, and further identified better agent training as one of the customer care industry’s top needs. In this case, the website and call center had different stock levels. The Website was denying the existence of the product, but the agent found 15 of the item on the system at Oxford Street, with options for ordering it, payment, and delivery. This is the same store that answered the email apologizing. In conclusion, the level of knowledge online was zero as it provided information inconsistent with that of the call center. John Lewis has to ensure that the stock levels reflected online are true to reality, otherwise they could be missing out on selling opportunities. Retailers also need to respond to customer’s complaints in the same manner, irrespective of the channel it is received through.